Three soldiers died yesterday as Libyan National Army (LNA) commanders abandoned their plan to starve out the remaining militants holed up in the Benghazi’s Sidi Akribesh for over four months. 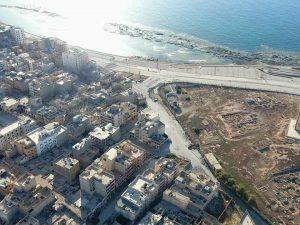 Moreover, for the first time in weeks, an LNA war plane launched a strike on the district. In the past, army sources speaking on condition of anonymity because of the LNA clampdown on unauthorised statements about the fighting, had said that the “few buildings” still controlled by the militants constituted too small a target for air attack. After the aircraft assault LNA units advanced but apparently met stiff resistance. Besides the three killed, 12 other soldiers were injured. It is reported that one of the militants, named as Ahmed Masoud al-Fakhri, said to be from Ajdabiya, was also killed in the fighting. The continued presence of an unknown number of fighters is an embarrassment to the LNA, whose commander, Khalifa Hafter broadcast triumphantly in early July that the battle for Benghazi was over. In violence elsewhere in the city, a rocket attack on Benghazi Radio’s broadcasting studios slightly injured a number of people, including the poet Khadija Bsikri. 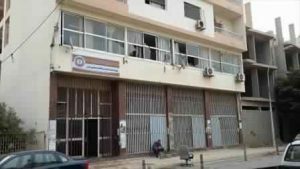 It is thought that it was an RPG that was fired at the first floor of the building in Abdel Moneim road, some three kilometres away from Sidi Akribesh. Meanwhile, unexploded ordnance, which hard-pressed LNA engineers have not yet had the opportunity to clear, has taken yet another life. A civilian named as Faraj Al-Abdali was killed in a blast as he entered his old apartment in the Suq Al-Hout district.